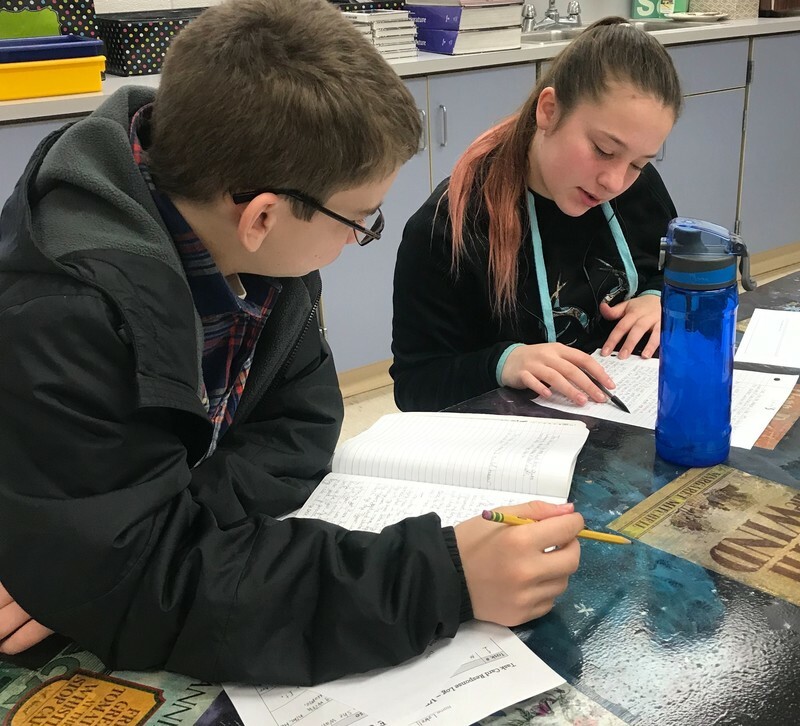 Students in Mrs. Kolwyck’s 7th grade English class have been working on writing personal narratives. Peer editing is a great way to teach students how to edit papers and help fellow writers reach their full writing potential. 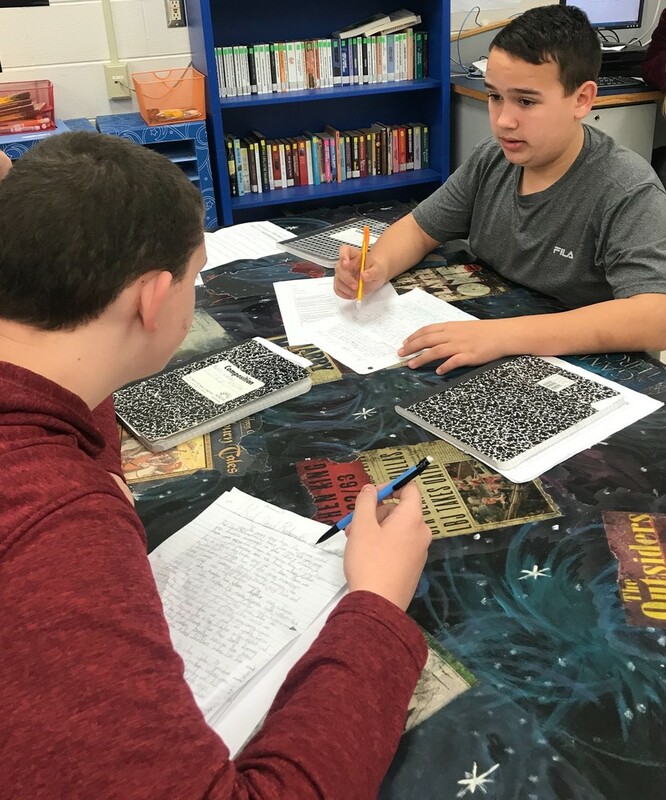 Editing is an important step in the writing process and exchanging papers with a peer allows each student to practice their editing skills more often. 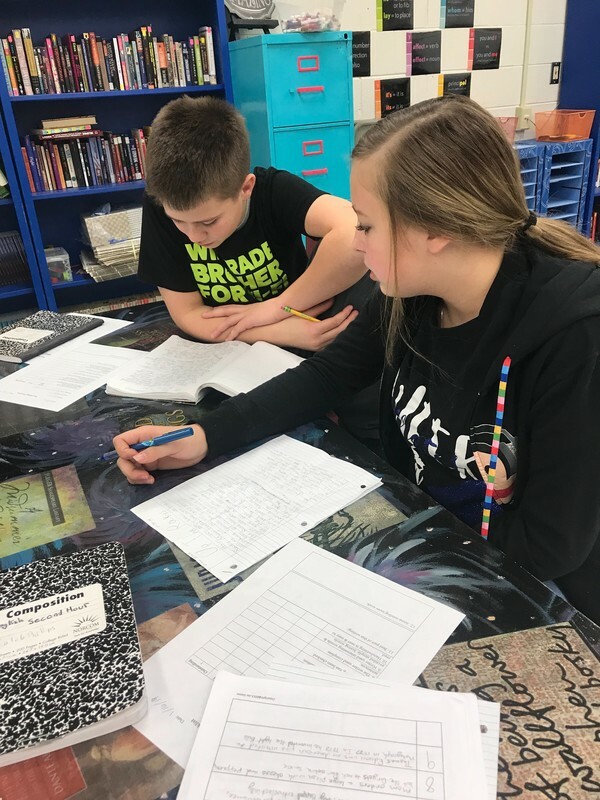 In Mrs. Kolwyck's class students are encouraged to work together in the editing process and provide positive feedback to produce the best work possible.